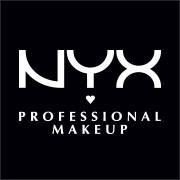 NYX Professional Makeup is the fastest growing beauty brand known for high-quality professional makeup at an affordable price. A leader in the global color cosmetics industry, NYX Professional Makeup is defined by exceptional quality products with rich pigments and high payoff. Featuring a range of classic, seasonal, and on-trend cosmetics, NYX Professional Makeup is a must-have among beauty lovers and professional makeup artists. While headquartered in the heart of Los Angeles, NYX Professional Makeup is a global brand available in over 70 countries at thousands of retailers consisting of specialty beauty and fashion stores, freestanding shops, and beauty supply stores, as well as on www.nyxcosmetics.com. The FACE Awards, presented annually by NYX Professional Makeup, is a competition highlighting the best and brightest in the YouTube makeup community. Now in its sixth year, the FACE Awards has mirrored the explosive growth of the YouTube beauty community. In 2016 alone, over 2,000 aspiring makeup artists submitted entries and over 900 guests attended the live finale at Club Nokia - LA Live in downtown LA, where one extraordinary finalist received the esteemed title of Beauty Vlogger of the Year along with a prize package that included $50,000.